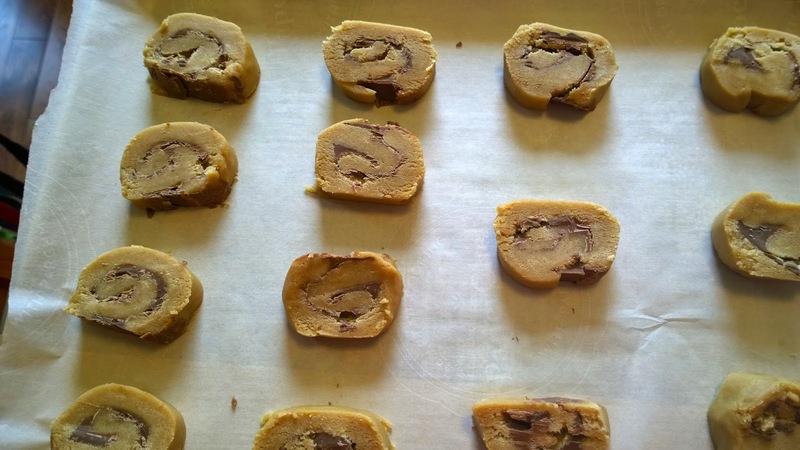 Peanut Butter Whirligigs? Well with a name like that, they've gotta be good! The peanut butter and the chocolate don't hurt either! 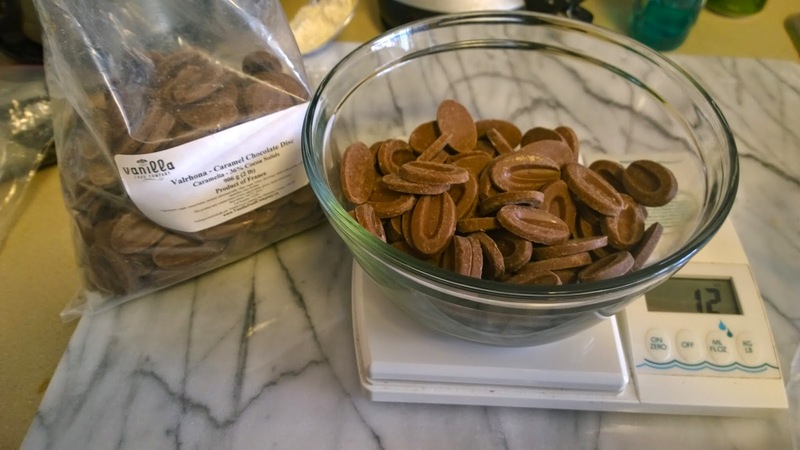 Yep, there is chocolate in these cookies. Yum! Now when I saw this recipe, I just assumed that the chocolate being used would be milk chocolate. I made the Peanut Butter cookies from the Baked New Frontiers book and they were made with milk chocolate (and were incredible). 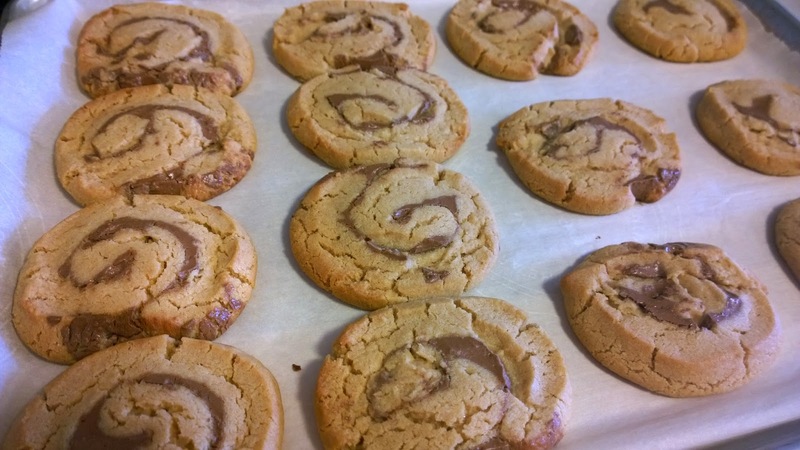 In fact, they are my favourite peanut butter cookie to date. The milk chocolate combined beautifully with the peanut butter. You can find the recipe on this blog. So yeah, a little surprised that it is dark chocolate being used in this recipe. I want to use milk chocolate instead. Nay, I will use milk chocolate. To the batmobile kitchen! Dreamy Creamy Beautiful Milk Chocolate. Scratch that. As I was cleaning/organizing my kitchen cupboards (Life of the slightly annoyed baker), I found the milk chocolate. But wait, what do we have here...Caramelia Milk chocolate....oh snap! (Yeah, I said that. I'm pretty sure all the cool young kids say that.) So technically, I am still using milk chocolate (it just has a caramel twist). Starting line up. I originally planned on using coconut oil, but then I switched to the vegetable oil, as recommended in the recipe. (Was afraid the coconut oil would impart too much of a coconut flavour.) Some might say, that I didn't have the coconuts to use the coconut oil. 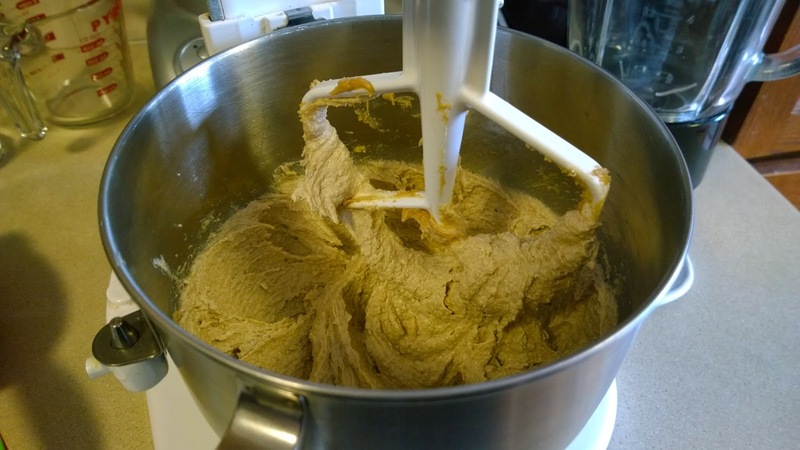 Butter, sugars, oil and peanut butter get blended together until fluffy. (No, not fluffy enough to cause my demise.) After this, the egg, egg yolk and vanilla get mixed in. Lastly, the flour mixture gets incorporated into the mix. 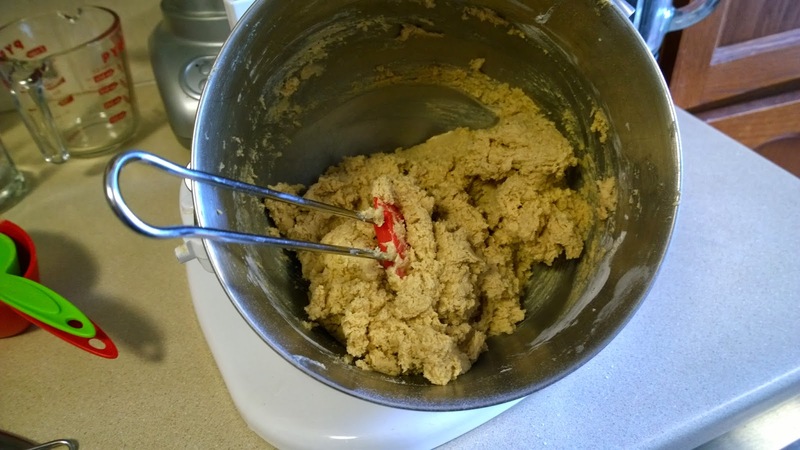 And we're left with a nice cookie dough that at this point, I either just want to eat as is (Yes, that's right!) or bake up now and forget the rest of the recipe. I can't help it, it is full of peanut buttery goodness. 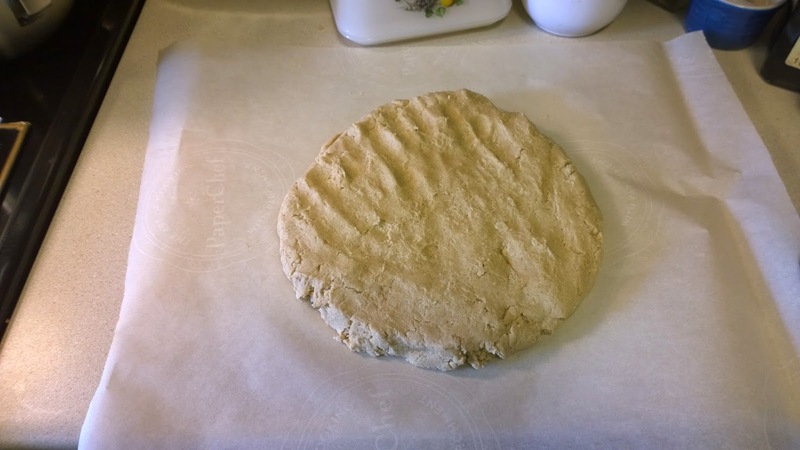 Just gotta shape this cookie dough into a disk (on a piece of parchment) and then wrap it up in plastic wrap. Oh plastic wrap...how I loathe thee. You stuck to the butter dish. You stuck to my phone. You stuck to yourself (but not in the useful way). Even as I type this, my blood doth boil at the thought of it. But hey, I got this disk wrapped! Dagnabbit! 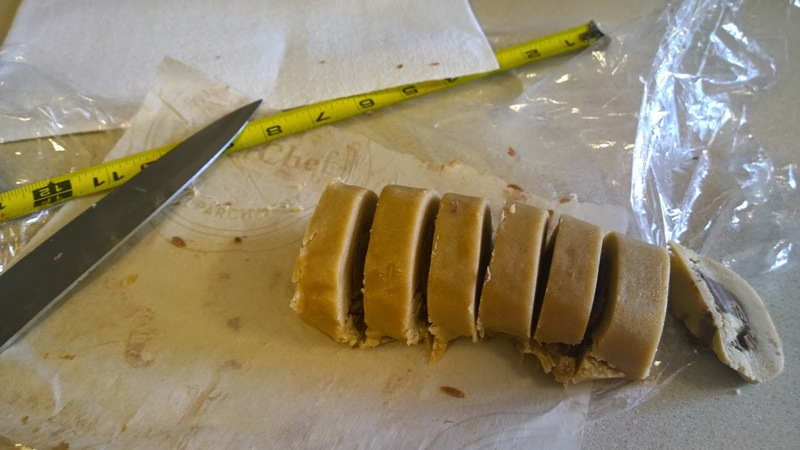 Fortunately, I have 3 hours or so to calm down as I need to let this disk of cookie dough cool off, in the fridge. 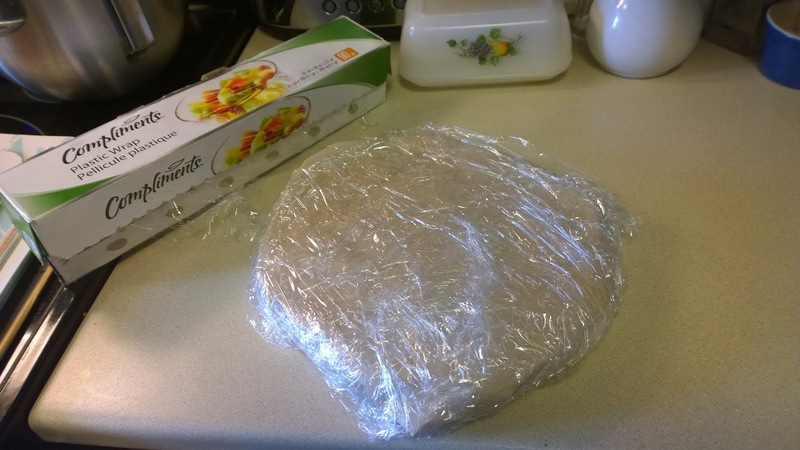 The disk of dough chilled in the fridge overnight. Disk gets cut in half and then both pieces are rolled out. And then another time out, in the fridge. Valrhona you make good chocolate! 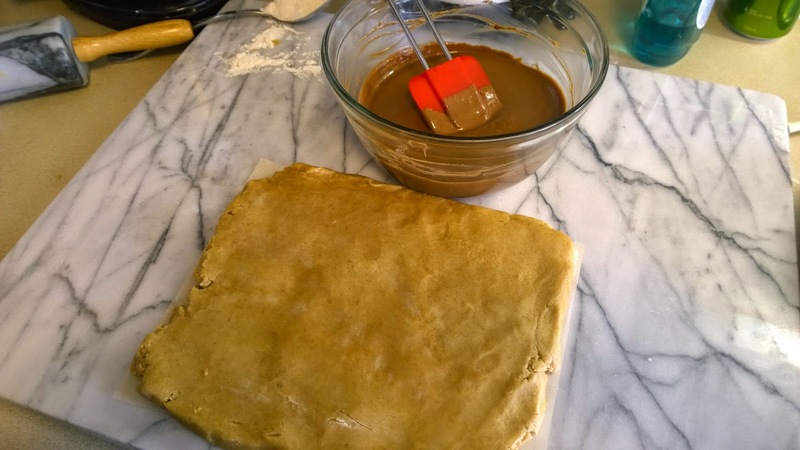 While the dough is firming up, the chocolate gets melted. 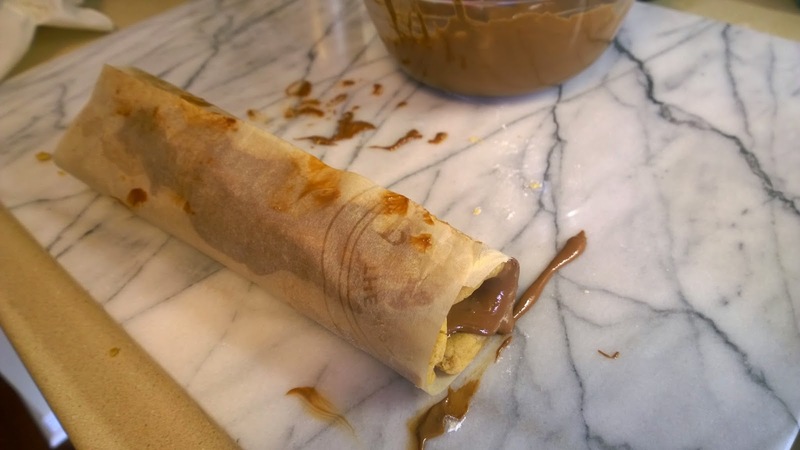 This chocolate gets spread onto each piece of rolled out dough, before being rolled up. Back into the fridge for these roll ups. 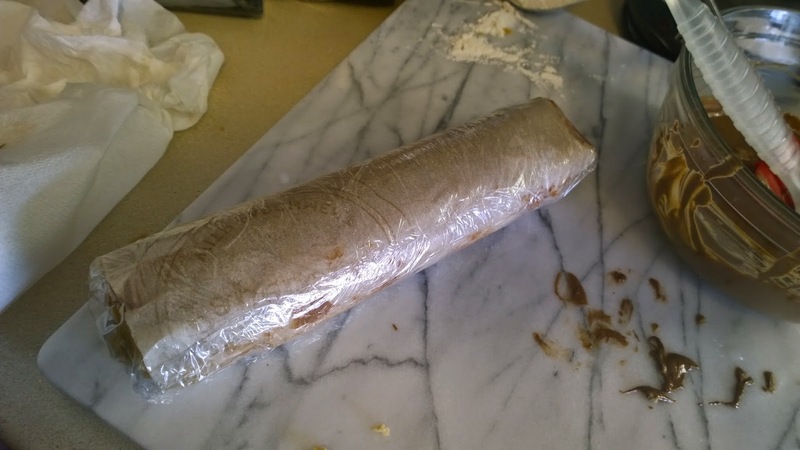 The rolls need to be cooled and firm before baking. So probably going to need to wait a good 3 hours or so. Easy to cut. Just need to heat up the knife. Yep, I need a hot knife. Cookies are the gateway to the harder stuff, I guess. And now we bake for 11-13 minutes. 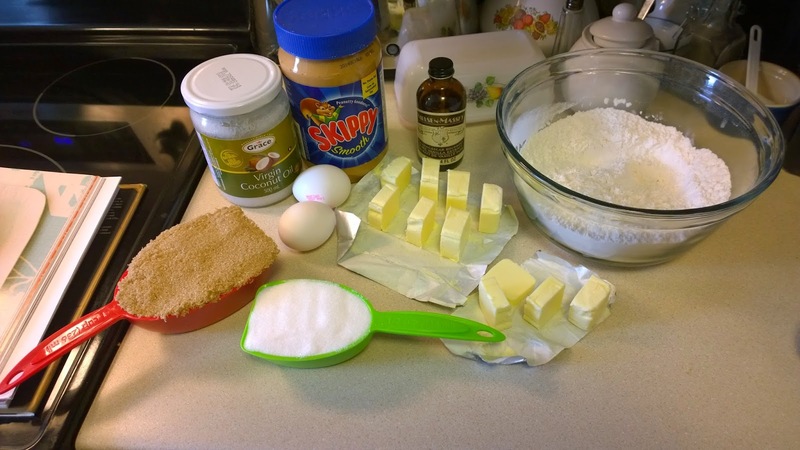 I think I'm going to bake someone happy with these cookies. 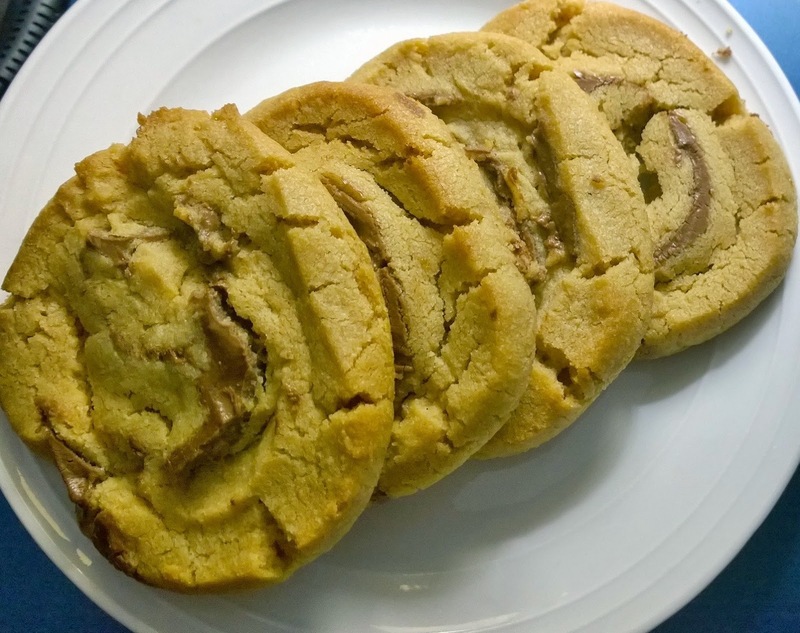 Head on over to Baked Sunday Mornings for the recipe and to see how everyone else liked these cookies. So the person who developed this recipe still thinks they should be made with milk chocolate instead of dark! 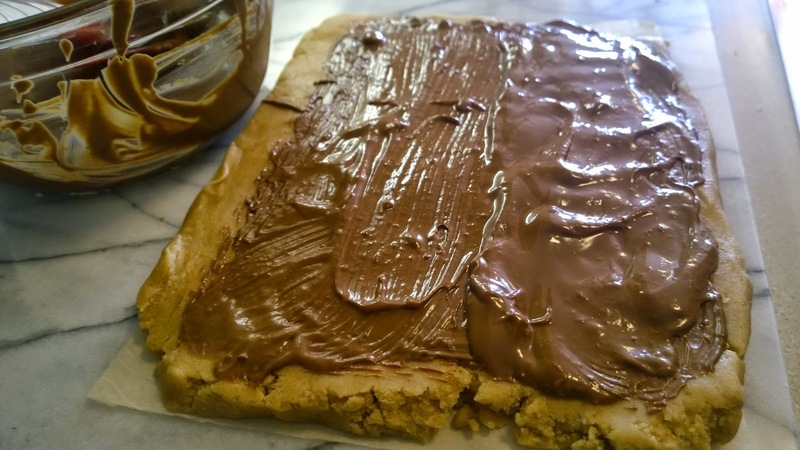 (Matt posted an interview with her on his blog) I liked the contrast of the dark chocolate, but pb + milk chocolate is such a classic combo, you can't go wrong with that either! I agree - messy but delicious! Your cookies look great, better than mine!! !...by far!!!! Indeed, it was a very messy recipe but the result is worth it!!!! Oh my those look delicious! I have never heard of those. My hubby went to pick me up a cookie this weekend after seeing it on a tv show, so this may be something for me to do for him. 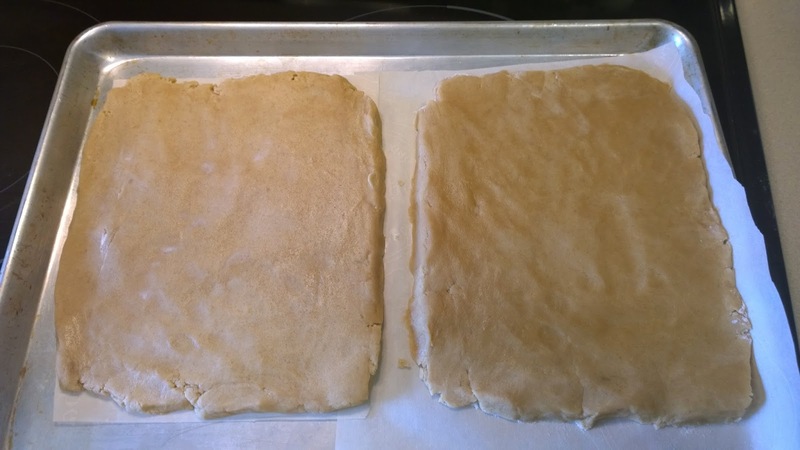 I never rolled a cookie like that, kind of remind me of palmiers in shape.